July 17, 2015: The Rockefeller Foundation-Lancet Commission on Planetary Health, launched its report Safeguarding Human Health in the Anthropocene Epoch, in New York on July 16, 2015. The Report provides the first ever comprehensive examination of evidence showing how the health and well-being of future generations is being jeopardised by the unprecedented degradation of the planet’s natural resources and ecological systems. It calls for immediate, global action to protect the health of human civilization and the natural systems on which it depends. The report was written by a Commission of 15 leading academics and policymakers and was chaired by Sir Andy Haines. Our President, Sania Nishtar was one of the 15 Commissioners. The Report will also be launched in Johannesburg, Los Angeles, Islamabad, Kuala Lumpur, Nairobi, Melbourne, Beijing, Santiago and London. The Islamabad launch is planned for July 24. July 16, 2015: Sarah Whitmee, Andy Haines, Chris Beyrer, Frederick Boltz, Anthony G Capon, Braulio Ferreira de Souza Dias, Alex Ezeh, Howard Frumkin, Peng Gong, Peter Head, Richard Horton, Georgina M Mace, Robert Marten, Samuel S Myers, Sania Nishtar, Steven A Osofsky, Subhrendu K Pattanayak, Montira J Pongsiri, Cristina Romanelli, Agnes Soucat, Jeanette Vega, Derek Yach. Safeguarding human health in the Anthropocene epoch: report of The Rockefeller Foundation–Lancet Commission on planetary health. The Lancet 2015. 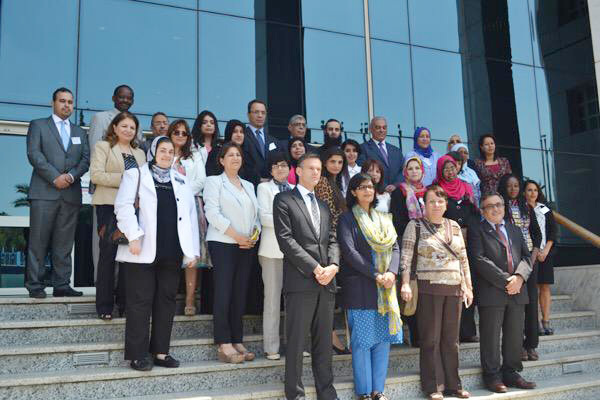 July 07, 2015: The Ending Childhood Obesity Commission recently held its regional consultation in Cairo on July 2. The meeting was organised by the World Health Organisation Eastern Mediterranean region office and was attended by countries from the region. This consultation is the second in a series of regional consultations, the Commission is holding globally to seek regional perspectives on the issue. The meeting was chaired by our President, Dr. Sania Nishtar, who co-chairs the Commission on Ending Childhood Obesity.